[The Guardian] Price comparison study finds the likes of Ryanair and easyJet charging more than triple the supermarket price for popular food and drink brands. Low cost airlines are hiking up the price of snacks and drinks by more than 1,000% compared with everyday prices, according to research that shows that a 12p cup-a-soup sachet can cost passengers as much as £2.50. A comparison of six major budget airlines serving the UK market found huge price increases on basic refreshments, with most carriers charging £2.60 for a tea and £1.80 for a 500ml bottle of water. Ryanair, perceived by most as the airline offering the lowest seat prices, was found to be the most expensive when it came to on-board snacks, charging £2.34 for a bottle of water and £1.56 for a chocolate bar. Passengers on a Ryanair flight could find themselves paying £1.96 for a 200ml can of cola, and £2.34 for a 160g bag of gummy sweets. Read more at the The Guardian………. [BBC News] Ryanair has warned that profits this year may miss its forecast. Europe’s biggest low-cost carrier says that profits may miss or be at the lower end of its range of 570m to 600m euros (£480m to £508m). Ryanair said there had been a dip in ticket prices and booking levels for September, October and November. Its shares plunged 13% on the news and other airline shares were hit too, with Easyjet falling 6% and British Airways owner IAG Group down almost 4%. Ryanair says the weakness of European economies is partly to blame as well as price cutting by rival airlines. In a conference call chief executive Michael O’Leary said: “We are going to respond to this by being out there first and being aggressive in fare response”. He said that Ryanair will offer its £14.99 one way fare on up to 1,000 routes in September, October and November. That is up from 600 routes over the summer. It is also launching an advertising campaign in the Republic of Ireland and the UK. Mr O’Leary said the weakness of the pound was hurting profits as 25% of the airline’s sales are made in sterling. 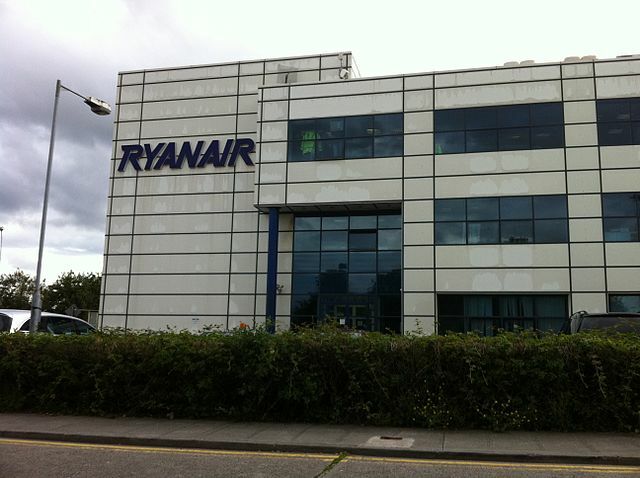 “This is a surprise statement from Ryanair and comes contrary to some of the commentary from the peer group and indeed Ryanair’s own commentary at its June investor days,” said Donal O’Neill, analyst with Goodbody stockbrokers. To compensate for the weak demand, Ryanair will ground 70 to 80 aircraft during the winter months, after initially expecting to ground just 50. That should mean its annual seat capacity will be 81 million seats, still up 2-3% on last year. Read the original story at BBC News …..
[Reuters] Struggling British airline Flybe will quit its main London hub at Gatwick airport and has pushed back the delivery of 16 new aircraft to help it return to profitability. Europe’s largest regional airline also said it had axed 590 jobs, or 22 percent of its UK workforce, despite saying in January it would cut only 300 jobs when it unveiled a cost-cutting plan designed to end a two-year run of losses at the pre-tax level. Flybe floated its shares on the London Stock Exchange at the end of 2010 and has since suffered from high fuel costs, falling passenger numbers and higher airport charges, especially in London. The company, which counts British Airways parent IAG and billionaire investor George Soros among its largest shareholders, said on Thursday the measures would save it GBP£30 million (USD$45 million) in costs in 2013/14, GBP£5 million ahead of its previous target, with more than half coming from the job cuts. Flybe will exit Gatwick in March 2014, after agreeing a deal to sell its 25 take-off and landing slots at London’s second-largest airport to easyJet for GBP£20 million. “No business can swallow cost increases of more than 100 percent over five years and Flybe simply cannot bear such punitive rises,” Flybe chief executive and chairman Jim French said. Flybe said it had also pushed back the delivery of 16 Embraer E175 aircraft to between 2017 and 2019, which would reduce pre-delivery payment charges due this year by 20 million pounds. The aircraft were previously due to arrive in 2014 and 2015. Since Flybe’s 295 pence-per-share float, its shares have fallen 80 percent, cutting the company’s market value to 43 million pounds from 215 million at launch. It is not the only smaller airline to have suffered. Last year, loss-making Spanair and Hungarian flag-carrier Malev ceased operations, leaving gaps in the market that larger low-cost carriers like easyJet have been quick to exploit. European carriers including Germany’s Lufthansa AG, Franco-Dutch Air France-KLM and Spain’s Iberia have also cut thousands of jobs over the last year and reined in capacity growth. Flybe flies to Belfast, Glasgow, Edinburgh and the Isle of Man from Gatwick. Selling its Gatwick slots would substantially reduce its London operations to just the few flights it runs out of Luton airport, some 50 kilometres north of the capital. [IOL Travel] British Airways is to take on budget airline rivals by charging less if passengers travel with just hand luggage. The airline said the cheaper fares – initially to be offered on flights from Gatwick to five destinations – will give passengers “more choice”. Holidaymakers with luggage to check in will not pay more to compensate for the lower “hand baggage only” fares, BA insisted. The move will be seen as an attempt to compete with low-cost airlines such as Ryanair and easyJet. Peter Simpson, BA’s director at Gatwick, said: “The introduction of our hand baggage only fare is all about giving our customers more freedom to choose the kind of flying they want. 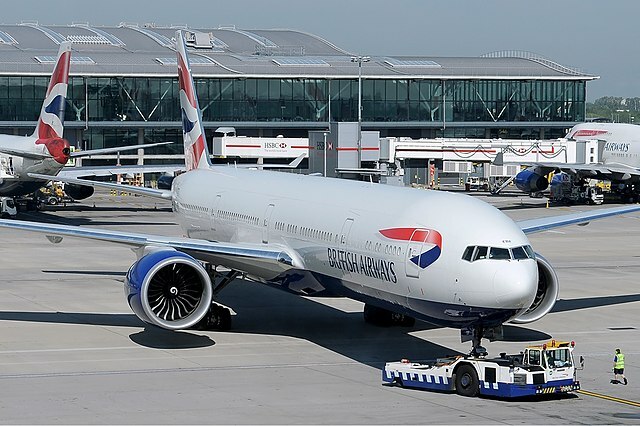 Many British Airways customers on Gatwick short-haul breaks choose not to check in a bag as they’re already taking advantage of our generous two-bag hand luggage policy. “Those who still want to check in a bag will simply pay the same price they do now.” …..
Read the full story at IOL Travel…..
[Reuters] British travel group Thomas Cook plans to merge its German, British and Belgian airline operations, appointing a new airline management board to run the business. 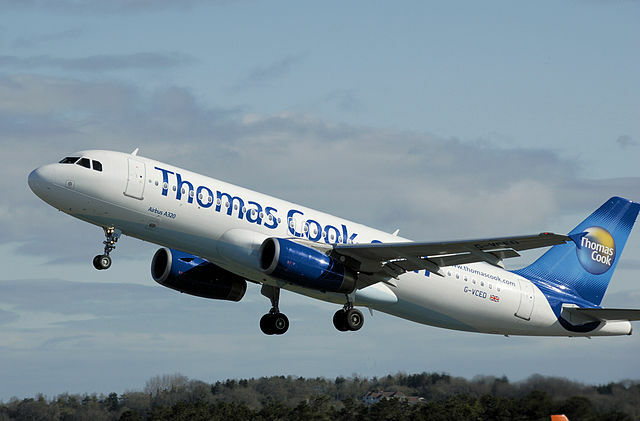 The world’s oldest travel group said on Tuesday that Condor, its German airline brand, Thomas Cook Airlines UK and Thomas Cook Airlines Belgium would become one airline segment within the group from March 1. The move is part of a turnaround plan, the effects of which began to kick-in late last year. The company, which was thrown a lifeline by lenders last May, has seen a steady improvement in its finances and a pick-up in demand in recent months. The new airline management board will be chaired jointly by Christoph Debus, group head of air travel, and Ralf Teckentrup, Condor’s chief executive, the company said. Former easyJet and KLM executive Cor Vrieswijk will take the reins as chief operating officer of Thomas Cook Airlines UK next month. “At time when the European airline industry is experiencing major change, we believe that our airline will be stronger as one integrated business,” said Debus. Frank Pullman will retire as managing director of Thomas Cook Airlines UK next month, the company said…..
Read the full story at Reuters…..
[The Scotsman] LOSS-MAKING airline Flybe is to shed 300 – one in ten of its staff – as part of a “turnaround plan” announced today in an attempt to return to profit. The carrier, which describes itself as Europe’s largest regional airline, said it hoped the £35 million cuts plan would return it to the black in 2013-14. The job losses will include one in five management posts, to create a “leaner, more focused business. Flybe said it did not “currently envisage any significant changes to the number of UK bases or its route network at this stage” but they would be reviewed. The first part of the two-part plan could also involve some activities being subcontracted to other companies. The moves come as Berwickshire-born chief executive Jim French prepares to move to become chairman. Read the original story at The Scotsman…..
[The Guardian] A fresh row over boardroom pay at easyJet is looming after the airline announced a share award that could see the chief executive, Carolyn McCall, net another £2m on top of her annual salary and bonus of £2m. The low-cost carrier said the long-term incentive plan was dependent on tough new targets that would require the company to exceed this year’s record performance. Stelios Haji-Ioannou, easyJet’s founder and largest shareholder, is understood to be unhappy with the scheme, despite modifications to take into account his criticisms of how return on capital is calculated. He is likely to vote against the directors’ pay package again at the annual general meeting in February, although he sees the real potential for a “shareholder spring” as coming in 2014 when new rules make the vote on pay binding. Read the full story at The Guardian…..
[The Moscow Times] British budget airline easyJet on Wednesday started selling tickets for a Moscow-Manchester service to begin in March, as the no-frills carrier looks set to slash the cost of flying between Russia and Britain. A one-way trip from Moscow’s Domodedovo Airport to Manchester, the third largest city in Britain, starts at $72.49, easyJet director Paul Simmons told The Moscow Times. The price for Moscow-London flights, with sales set to begin in mid-January, will be similar. As of March 18, there will be four daily flights between Moscow and London, leaving London at 7 a.m. and 2:10 p.m. and Moscow at 2:30 p.m. and 9:40 p.m., Simmons said. The Moscow-Manchester service will operate on Mondays, Wednesdays, Thursdays and Sundays. 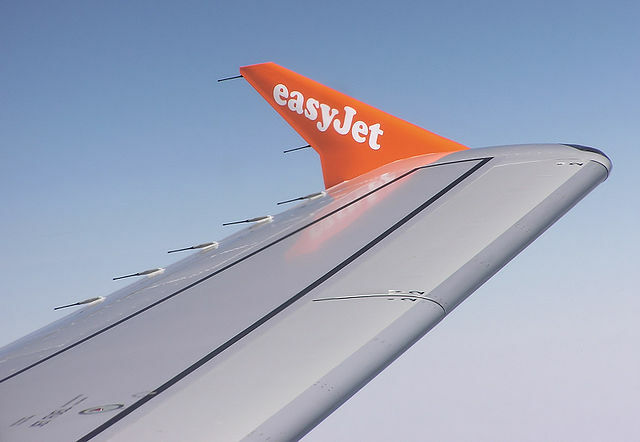 While there is a fixed quota for tickets sold at the starting price, easyJet operates a system whereby fares increase with demand, making them more expensive in peak periods. The company’s first commercial flight from Manchester to Moscow is scheduled for March 28. By mid-afternoon in Moscow a one-way ticket on easyJet’s website was selling for £59.99 ($96.70). 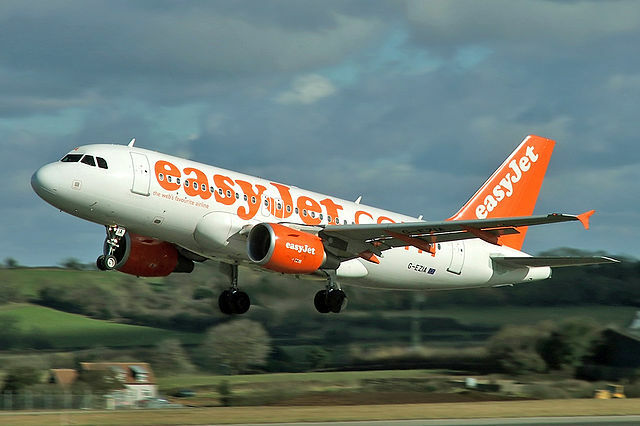 As well as stealing market share from Russian carriers, easyJet also expects to boost the numbers of tourists and businessmen travelling between the two countries. And the company expects the new routes to be lucrative. easyJet could reap profits of up to $2.4 million flying 300,000 passengers annually, he said. easyJet was awarded the right to operate the Moscow-London route from Britain’s Civil Aviation Authority in October, beating off competition from Richard Branson‘s Virgin Atlantic. Under a bilateral agreement between Russia and Britain only four carriers can fly between the two countries’ capitals. A space became available earlier this year — for the first time since 1998 ……..
Read the full story at The Moscow Times…..
(easyJet Press Release) easyJet, the UK’s largest airline, has today announced that it will be the official carrier of the Jordanian Olympic and Paralympic teams at this summer’s Games in London. The airline has committed to flying the entire Jordanian Olympic and Paralympic team along with key support team members to and from the Games this summer. The UK event is extra special for the Jordanians, who have nine athletes representing the Middle East country this year – the largest Jordanian delegation to feature in the history of the Games. Under the Presidency of HRH Prince Feisal Al Hussein, who is also an IOC member, Jordan has made huge strides in sport with the National Olympic Committee’s vision for it to play a greater role in the lives of all Jordanians. The Kingdom has just secured a ninth member of its delegation, with the qualification of Heavyweight boxer Ihab Darweesh , meaning that this year the largest number qualified of sportsmen and women will represent the Middle East country in the history of the games. The Jordanian team still have an opportunity for two more wrestlers to qualify along with the basketball team but already this landmark highlights the progress being made in Jordanian sport. This summer, three taekwondo fighters, one equestrian, and two each for swimming and athletics will join boxer Darweesh in the delegation as Jordan searches for its first ever Olympic medal. Of the nine, four of the delegation is female with taekwondo star Nadine Dwani and horse jumper Ibrahim Bisharat taking part in their third Olympics. Hugh Aitken, easyJet’s Commercial Manager, said: “We are delighted and honoured to be able to play our part in helping this dedicated team of athletes move closer to achieving their dreams and representing their country at the summer Games. easyJet launched its London Gatwick route to the Jordanian capital of Amman in March 2011 and to date the airline has flown more than 55,000 passengers to and from the city of Amman. Read the original easyJet press release here…. [Belfast Telegraph] Around 1,500 airline passengers faced disruption overnight after they were diverted away from Gatwick Airport due to fog and maintenance work. A total of 24 flights were unable to land at the airport and forced to touch down at other UK destinations as far away as Bristol due to the combination of poor visibility and runway repairs, a Gatwick spokesman said. Engineers were carrying out planned maintenance work to the airport’s main runway overnight, leaving just the second landing strip open. But the fog meant short and medium-haul flights had to be diverted to Stansted, Luton, Bristol and Heathrow from around 12.10am onwards. A Gatwick spokesman said: “We had some planned runway maintenance works scheduled for last night which all flight operators were informed about and when we do that we have to use our second runway which is a visual strip. All diverted passengers have been or are in the process of being transferred by coach back to Gatwick. Easyjet, British Airways and Thomson passengers were affected by the disruption. Three BA short-haul flights due to depart Gatwick have been cancelled because of the disruption and eight flights have been delayed, the spokesman added. The airport said they hope everything will return to normal by 5.30am.